We’re publishing a little infrequently at present, both the regular posts and the newsreel, but the main thing is that we’re still publishing. Here’s a round-up of some of the recent silent news and events coming up. The silent film version that many love to hate, while for others it is the version that was a welcome introduction to silents, is to come out on Blu-Ray. 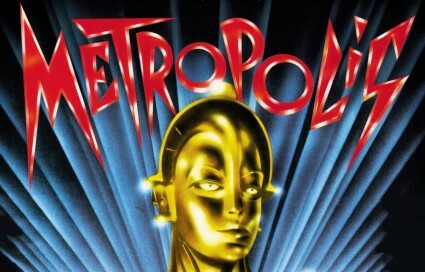 Electro-disco composer Giorgio Moroder’s score for Metropolis came out in 1984, and was controversial both for presenting a cut-down version (80mins) and for throwing pop songs on top of it (Freddy Mercury sings “Love Kills”, Pat Benatar sings “Here’s my Heart” – yep, it’s the 1980s). It’s become something of a cult favourite and now Kino are bringing it out theatrically in October and on Blu-Ray late 2011 or early 2012. Read more. The Toronto Urban Film Festival (known as TUFF) brings new one-minute silent films, entered in competition, to be seen by 1.3 million daily commuters on the ONESTOP TTC subway platform screens. This year the guest judge for the festival is Atom Egoyan. It runs 9-18 September, and there are examples of some of the truly ingenious and creative videos submitted on the festival site. Read more. A silent film festival offering more traditional fare is New Zealnd’s annual Opitiki Silent Film Festival, which this year takes place 2-4 September. The emphasis is on comedy and rugby, and there haven’t been too many silent rugby film programmes, to my recollection. 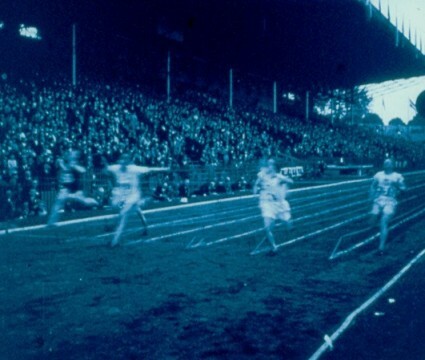 The festival features Lloyf, Langdon, Keaton, Pollard and more, plus a one-hour silent film compilation All Blacks which features “footage of the 1905 Originals NZ touring team plus the 1924/1925 Invincibles”. Read more. Once again the Cine-Tourist website beats all competition in the cine-blogosphere with an engrossing (if very long) post, handsomely illustrated, on Max Linder, the films he shot in the streets of Vincennes, and what the locality says about him. None of these films can ever be called accidental in their choice of geography, because everything that we see makes the film that plays before us. Read more.